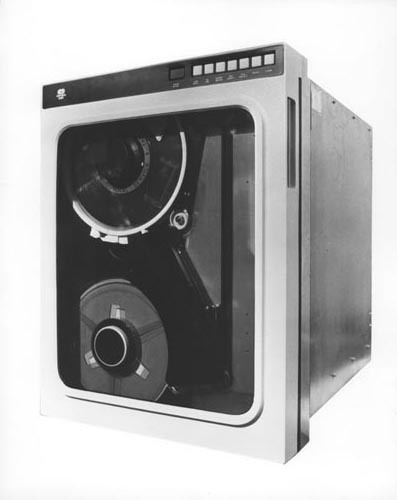 B&W image of a CDC O.E.M. rack mounted tape drive. Verso ink: " O.E.M. Tape drive Magnetic Peripherals?"